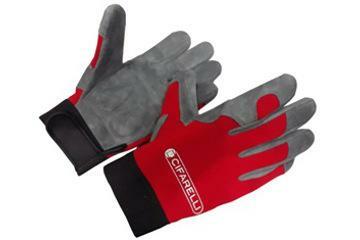 Work gloves - Cifarelli S.p.A.
Cifarelli work gloves have been specially designed to protect the operator from mechanical risks and to reduce the perception of the vibrations generated by the machine. Resistant and comfortable to wear, the gloves have the palm part in suede leather with rubber pads and the back in stretch nylon. They are equipped with elastic cuffs and Velcro closure.